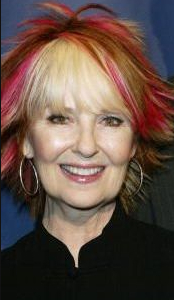 #29 - Actress Shelley Fabares • Where Hollywood Hides... the home of classic TV, movies, music, & celebrities! 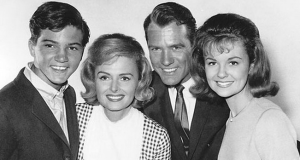 From television, to movies, to hit records…actress Shelley Fabares has done it all, and she continues to do it with unmatched grace, humility, and instinctive talent. One of Hollywood’s most enduring and beloved leading ladies, in this conversation with Bob and Suzanne, Shelley Fabares openly shares the details of her childhood as a department store “fashion model”, and how that led to her first television appearance at the age of 10. Shelly was in constant demand from an early age, appearing in more than 50 television series from early classics like Annie Oakley to her breakthrough role on The Donna Reed Show. Shelley shares memories of her eight years playing “Mary Stone” and working closely with TV legends Donna Reed, Paul Petersen, and Carl Betz, and then describes the unique experience—and anxiety–of becoming an international teen idol with the release of her #1 hit recording of Johnny Angel. As the only female co-star to appear in three of Elvis’ movies (Clambake, Girl Happy and Spinout), Shelley describes what it was like meeting “the King” for the first time…and how she still thinks of him as her “favorite leading man”. 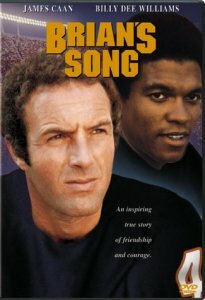 Shelley then goes on to recount her adult life as an actress in great demand on shows like Love, American Style, The Rockford Files, and Fantasy Island and her professional joy working opposite James Caan in the era’s most memorable television movie, Brian’s Song. This is an intimate, open-hearted dialogue with a legendary actress as she shares the realities of Hollywood’s type-casting in the Sixties while giving us a real sense of the personal and professional values that brought her years of success on major hits like One Day at a Time and Coach. This is a conversation with a very classy lady that you won’t want to miss!